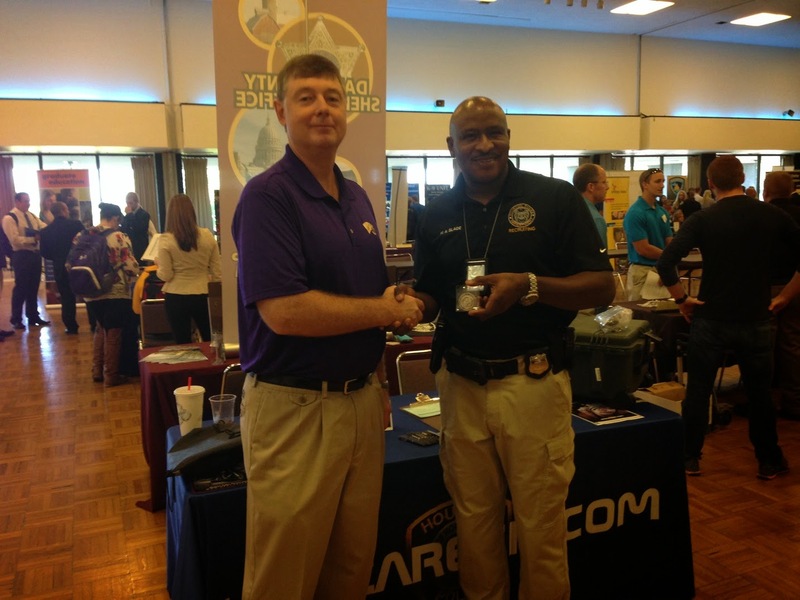 Great turnout by the community at the 2014 9/11 Heroes Run. 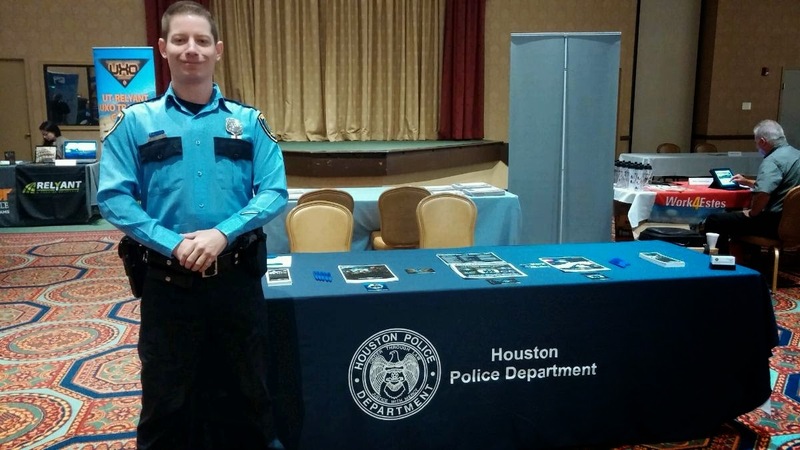 Recruiting had a strong presence at the run as did the HPD Explorers. 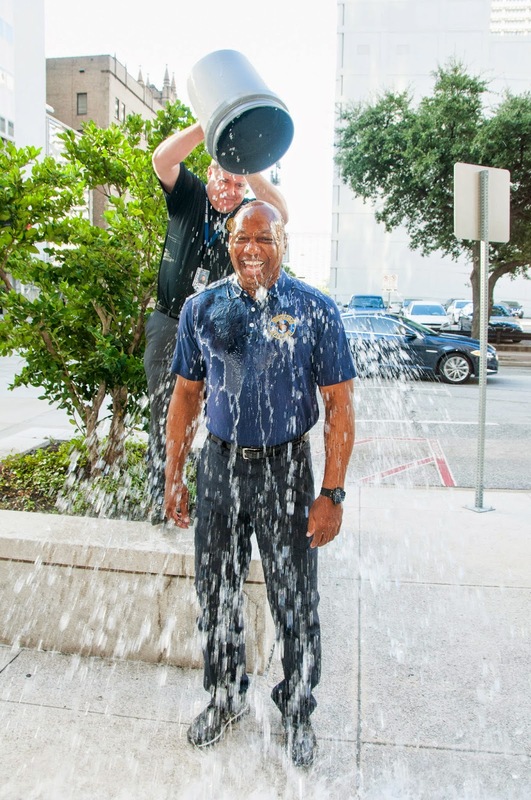 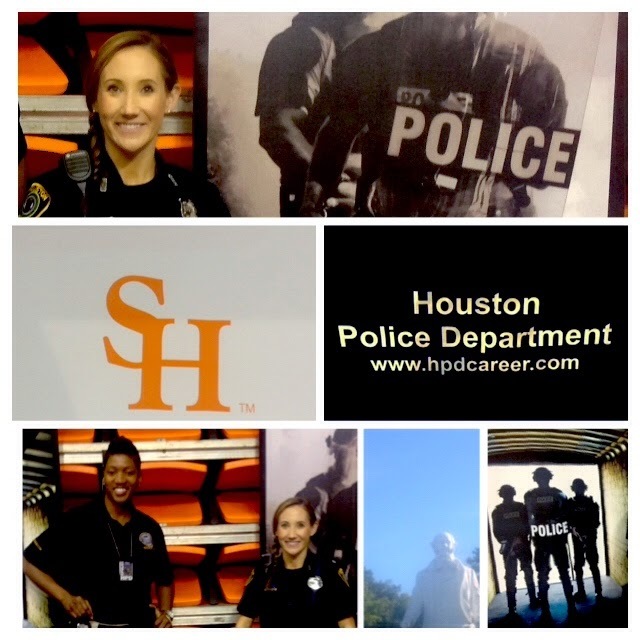 For more information about the HPD Explorer Program, you can visit their web site at www.houstonpoliceexplorers.com or call Senior Police Officer D. Berry at 713-308-3200. 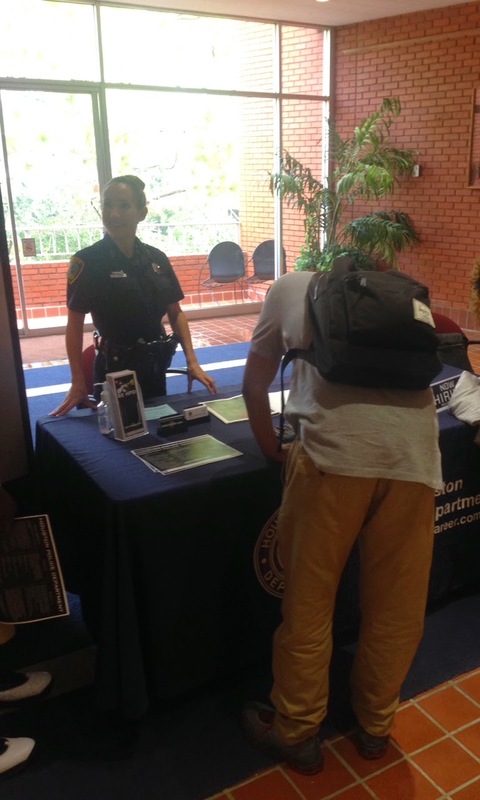 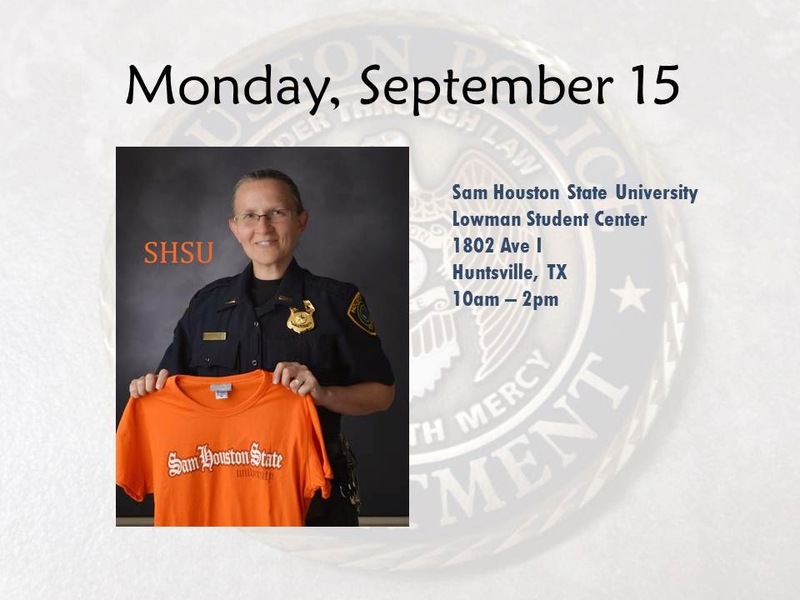 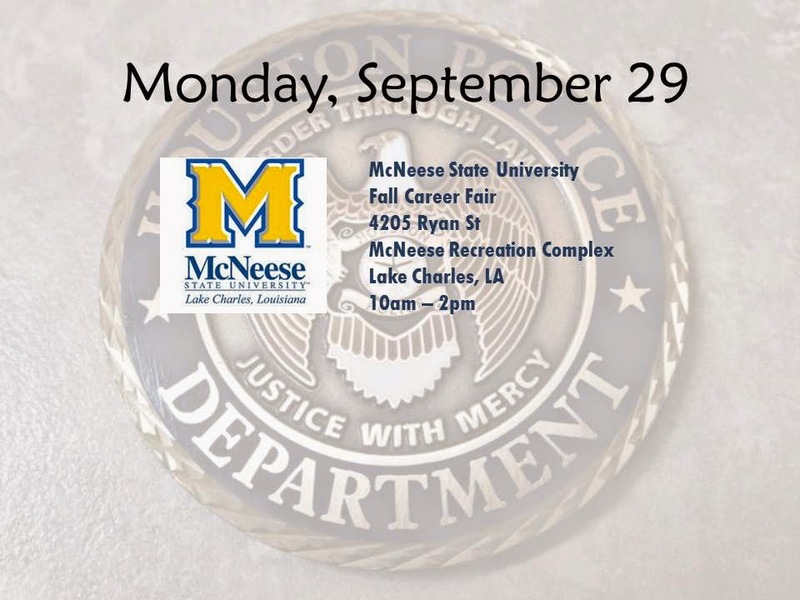 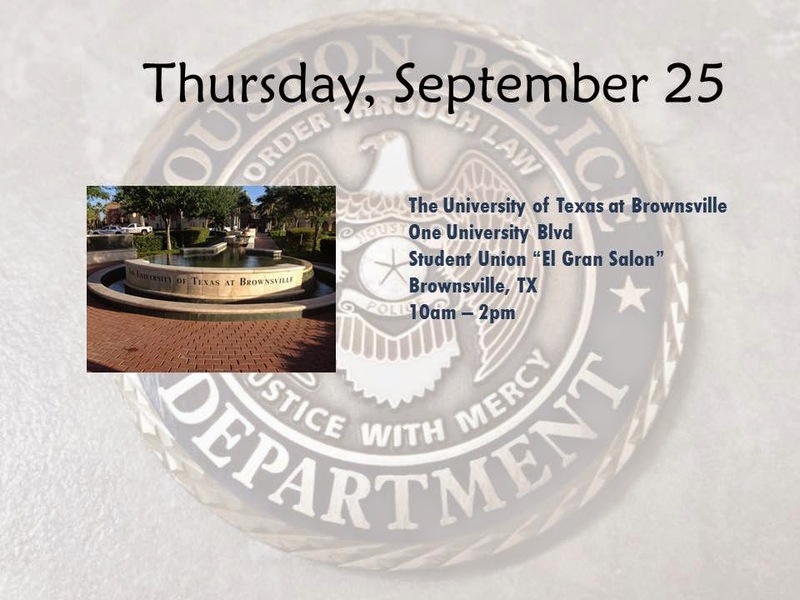 Officer Jones is at McNeese State today from 10 am - 2pm. 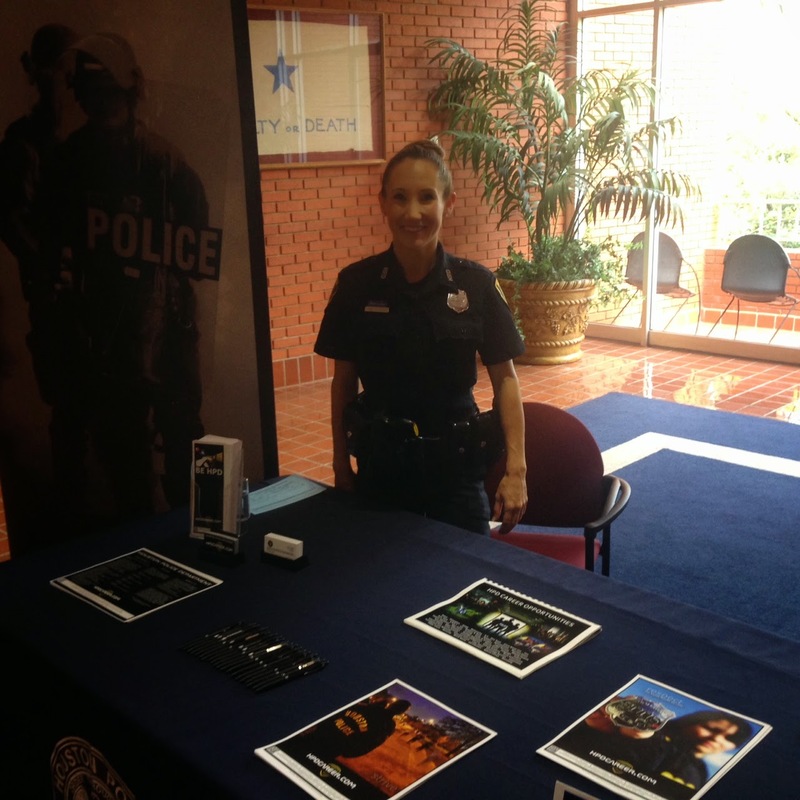 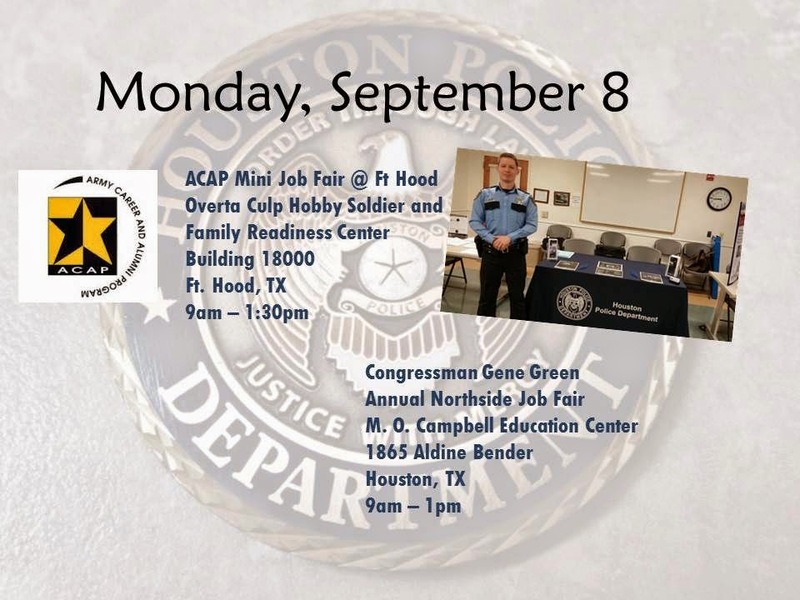 Stop by and ask her how you can start your career with HPD. 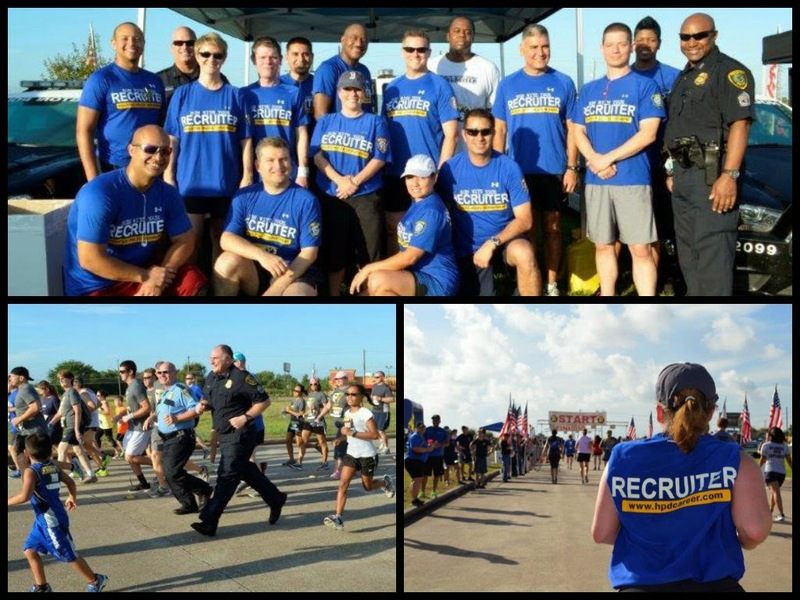 Officers from the HPD Recruiting Division took part in the 9/11 Heroes Run last weekend at Ellington Field. 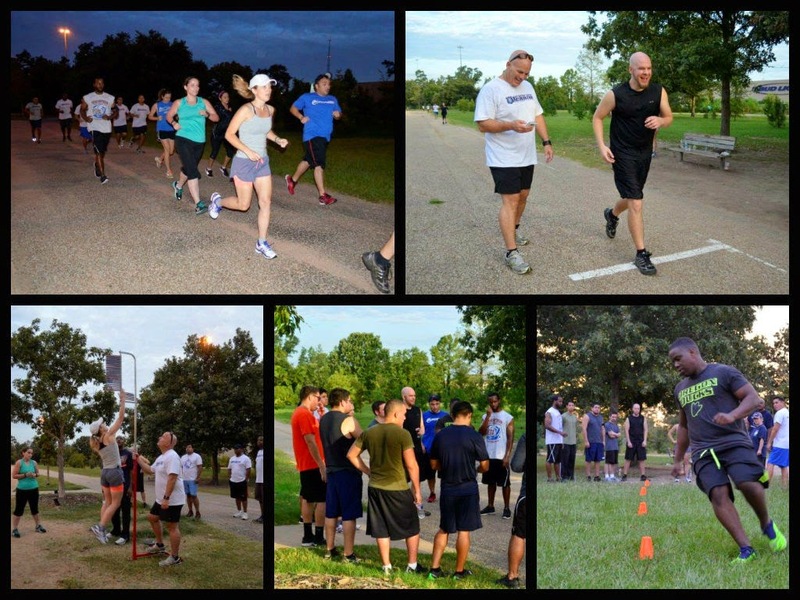 The 9/11 Heroes Run activates communities across the country to honor the sacrifices of the heroes of September 11th and of the wars fought since. 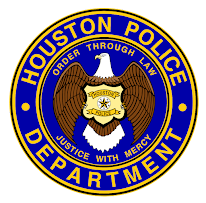 For more pictures, go to the HPD Flickr account at THIS LINK. 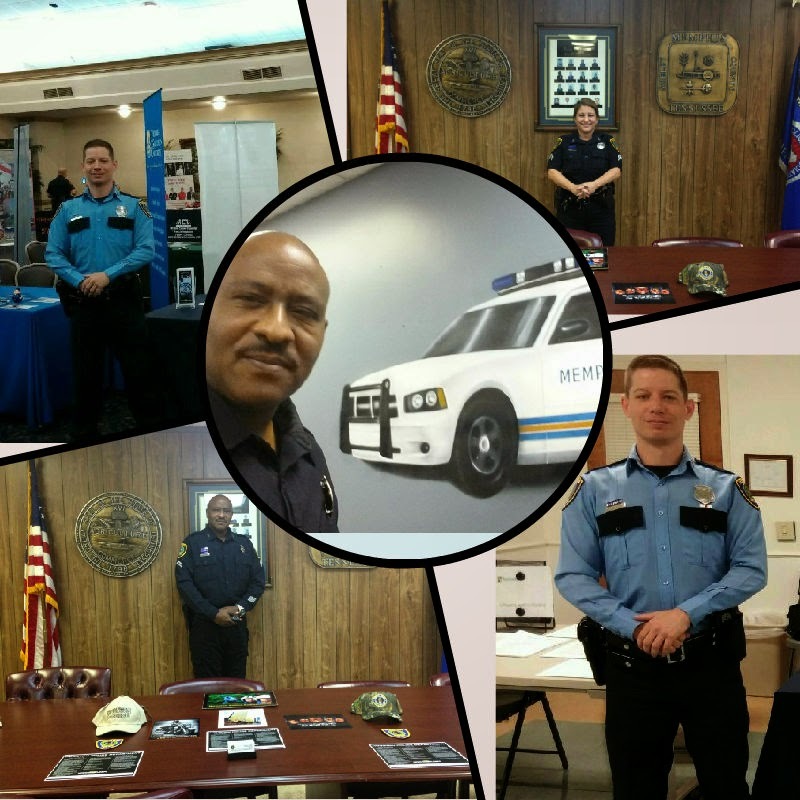 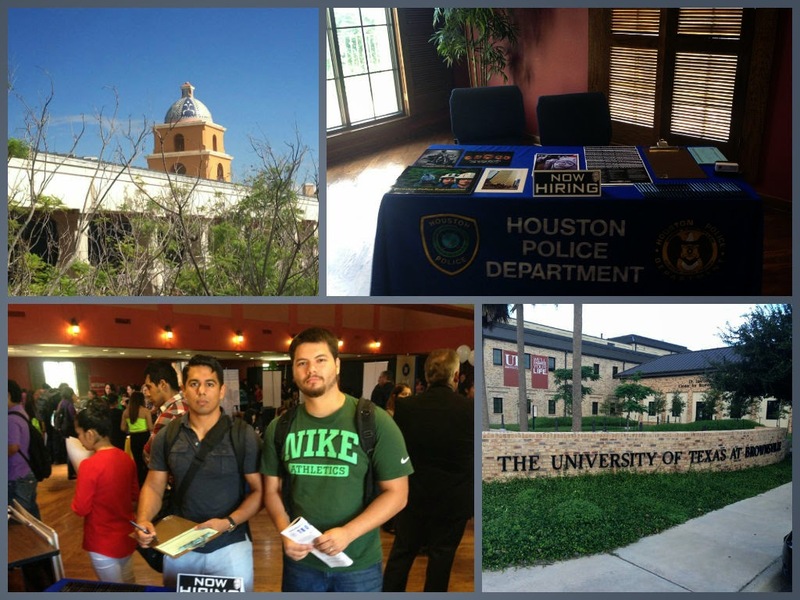 HPD Recruiting Officers are out in many locations this week waiting to talk to you about your career with HPD. 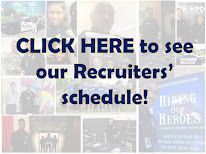 For more information about requirements, go to www.hpdcareer.com. 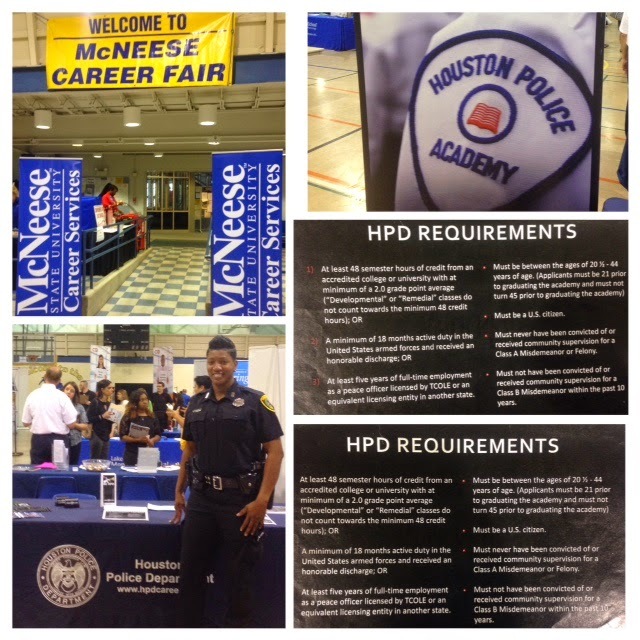 You can also call the HPD Recruiting Division at 713-308-1300 or (800) 252-0473.